Dr. Nancy Bolan knows how important it is for health workers to have up-to-date information when responding to a maternal or newborn emergency at a clinic in the Democratic Republic of Congo. 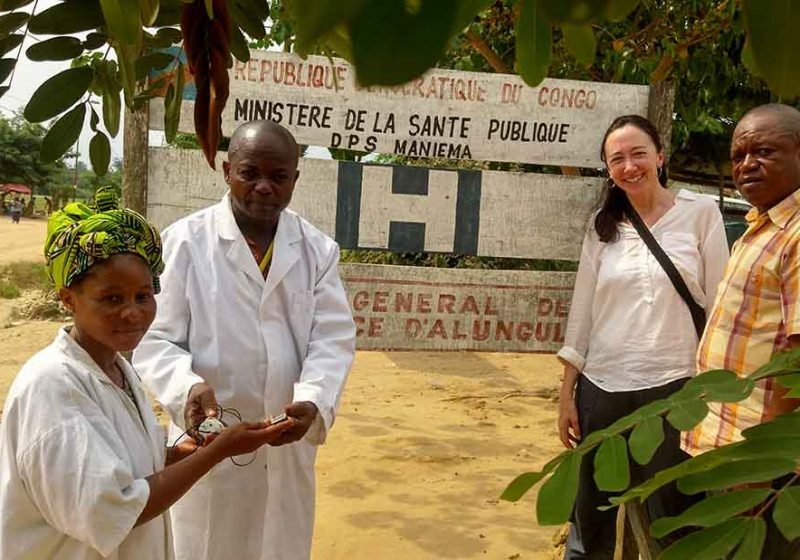 While serving as a deputy country director for IMA World Health in DRC from 2012-2014, she witnessed situations in which the availability of information meant the difference between life and death. She wanted to make sure maternal health workers have all the information they need in the palm of their hands. Bolan worked with IMA DRC’s Country Director Dr. Larry Sthreshley, Technical Director Dr. Bernard Ngoy, Kindu Director Dr. Faustin Ledy, the IMA DRC team, and the Ministry of Health to test the use of the Safe Delivery App, a smartphone application that provides evidence-based and up-to-date clinical guidelines on basic emergency obstetric and neonatal care. She wanted to see if the use of the app by health workers could improve maternal and newborn care and health outcomes. The Safe Delivery App was developed by the Maternity Foundation in Copenhagen. It walks health workers through the priority key emergency situations at birth. If a newborn can’t breathe, for example, the worker can look to see exactly what to do to save the baby’s life. “We wanted to look at continuing education using technology for health workers, specifically in emergency obstetric and newborn care, in order to improve the quality of care provided and thus improve patient health outcomes,” Bolan said. 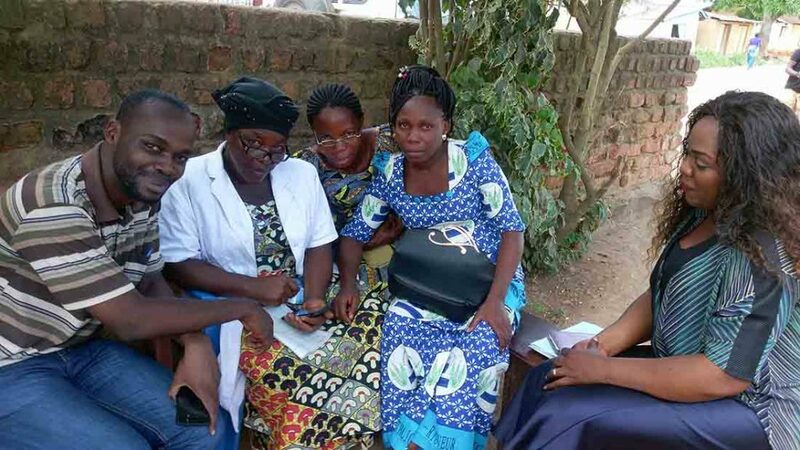 Health workers used the app for three months at one hospital and three health centers in the Province of Maniema, an under-resourced area in central DRC with weak infrastructure and some of the poorest maternal and newborn health outcomes in the country. During that time, knowledge among people who used the app significantly increased when dealing with postpartum hemorrhage and neonatal resuscitation, Bolan said. Not only did the app improve knowledge, but it also boosted the confidence of health workers. With improved knowledge and greater confidence, health workers were empowered to help more people in better ways than they could without the app. The implementation was part of Bolan’s dissertation research on mHealth, or mobile health, for continuing education of nurses and midwives in maternal and newborn health in DRC as a Ph.D. student at Medical University of South Carolina. She has submitted a paper on her work for publication. All of the health facilities that participated in the survey are part of the Access to Primary Health Care Project, known locally as Accès Aux Soins De Santé Primaires(ASSP), which is led by IMA and funded by UK aid. ASSP supports DRC’s National Health Development Plan by working to improve access to and coverage of primary health care services for 8 million people living within 52 health zones in five of the country’s 11 provinces, including Kasaï, Kasaï Central, Maniema, Nord-Ubangi and Tshopo. The Safe Delivery App and Bolan’s partnership with IMA is one of many examples of IMA World Health’s innovation efforts to achieve health, healing and well-being for all. Davis Makasy of IMA World Health, based in Kinshasa, teaches the Kasuka II Health Center staff how to use the smartphone and Safe Delivery App.